If you want to volunteer during Thanksgiving in the Twin Cities, you'll find many opportunities. Do you want to volunteer to serve Thanksgiving meals, to deliver food to local families, or help in some other way? One of the best gifts you can give during the holidays is your time. Local Minneapolis/St. Paul and Twin Cities nonprofit organizations and charities will greatly appreciate your volunteering to help the community. The Salvation Army is one of the most visible nonprofit organizations during the holidays, and it needs plenty of people to help out at Thanksgiving and Christmas time. Many of the opportunities don't require experience, just the willingness to help. 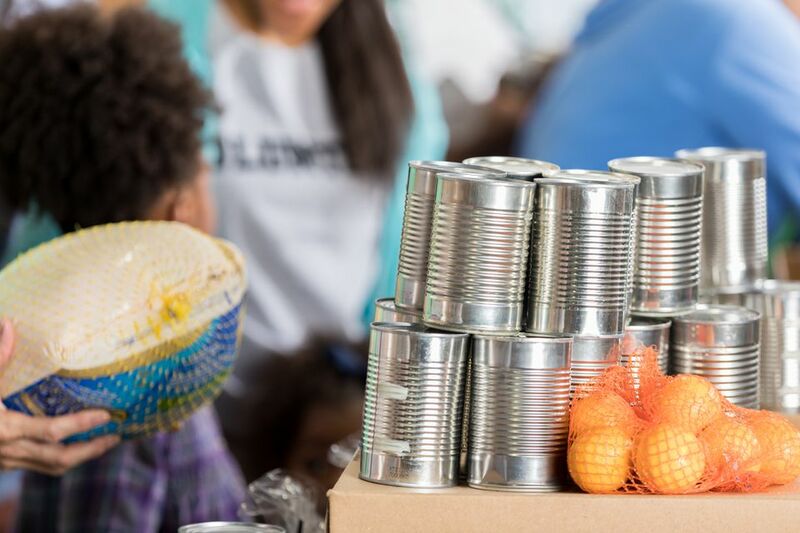 The Salvation Army needs people to prepare and serve Thanksgiving meals, deliver Thanksgiving food baskets, distribute winter coats, and many other tasks. Volunteers at this organization are needed to prepare and serve Thanksgiving dinners. If you would like to involve friends, family, and coworkers, organize a holiday food drive at your work or church for Catholic Charities' families. Little Brothers—Friends of the Elderly helps seniors around the Twin Cities. Many volunteers are needed to help with holiday meals, bringing seniors to the center in Oakdale where the Thanksgiving meal is held, and delivering meals to people who can't travel. You can also volunteer to be a companion to an older person and help them do small things such as paying social visits, bringing small treats, and writing letters. People Serving People is a large family-focused homeless shelter in Minneapolis. Serving holiday meals is a popular volunteer activity at this time of year, but you can also volunteer to be a regular meal server. The shelter serves three meals a day. People Serving People also needs volunteers for its Family Game Packs and gifts program. Delivering meals to homebound disabled and elderly people in the Twin Cities is the classic Meals on Wheels volunteer position. But you don't need to drive to help out—Meals on Wheels also needs volunteers to help with many other tasks, like preparing food and office support work. Lyngblomsten, a senior residential home ​and support services nonprofit organization, welcomes volunteers to help seniors make holiday gifts, tree ornaments and cards, wrap gifts, bake cookies, and generally spread seasonal cheer. Lutheran Social Service of Minnesota needs volunteers to help feed local families. You can also recruit friends, classmates, and coworkers for a food drive to benefit clients. Help local families with their Thanksgiving meal by picking up some grocery items and bringing them to the Union Gospel Mission Twin Cities. Donating a bag with nonperishable ingredients will help make a local family's Thanksgiving dinner. You can also volunteer to help make and serve Thanksgiving dinner at the Union Gospel Mission. Neighbors, Inc. is a South St. Paul community organization that helps low-income families. It has a large wish list of food items and gifts you can donate that will be distributed to families and also needs volunteers for several holiday-related tasks. The Good Samaritan Society provides shelter and support services for seniors. Help out by putting up holiday decorations, accompanying seniors on holiday shopping trips, and spending time with seniors, many of whom don't have family nearby. One of the best ways to help a homeless shelter such as Simpson is to organize a donation drive. Rally coworkers, family, and classmates to put together holiday food baskets, buy gifts or winter clothes, or cook and serve a meal at the Simpson shelter. Another way to help at this time of year is at the annual Homeless Memorial Service, usually held in December. Second Harvest Heartland is a food bank serving thousands of Twin Cities residents, and they need many hands to help organize and distribute food to those in need. During the annual Holidazzle event in Minneapolis, the Emergency Food Shelf Network collects nonperishable food and cash donations for the food bank. The annual Lights in the Park in St. Paul's Phalen Park is a display composed of over a million animated lights. Profits from the admission fees to drive through the park and see the displays are donated to local food banks and other nonprofit organizations.